Top 10 Reasons to Buy a Kids Bike from Us | Home of the Crofton Bike Doctor Blog! 1. The Right Fit: Every bike that rolls out of Crofton Bike Doctor has a frame and component group that is anatomically proportioned to its rider’s size and intended use. We then make sure to adjust the bicycle to properly fit the rider. Next we show you how to use and operate your new bicycle. 2. Ride Before You Buy: Your children can ride a few different models to help both of you pick the perfect bike for them, either outside or on our indoor riding station. 3. Selection: We do the research so you don’t have to. To make it on our showroom we have reviewed the options available and selected the best products to offer our customers. We’ve narrowed it down to a few options making your decision easier. 4. Trained Sales People: We love to ride and our team is trained to help you select the perfect bike for your riding styling. We’ll show you the different options and explain the features and benefits to you. 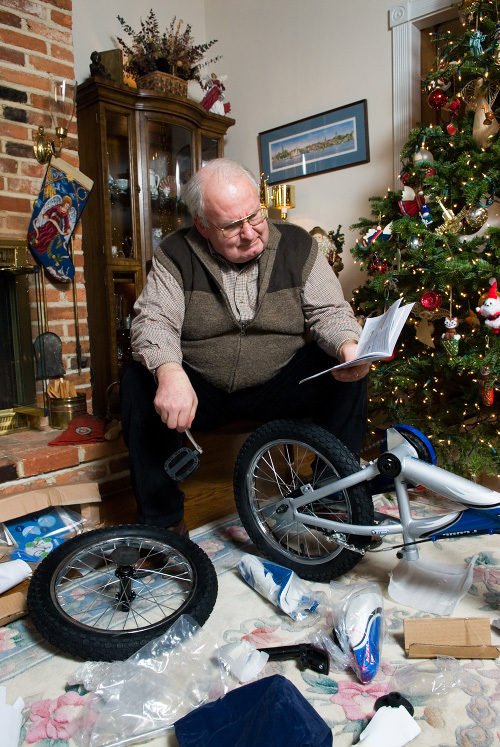 We will ensure you are selecting the proper size and fit your child to their new bicycle. Then demonstrate and install any accessories you may want to personalize their new bicycle. 5. Professionally Assembled: No late nights putting the bicycle together. Our bikes are delivered professionally assembled and ready to ride. Each bicycle goes through our assembly by a trained bicycle mechanic. Our mechanics love to work on bikes and it shows. 6. Free Lifetime Tune-Ups: For as long as you own your Crofton Bike Doctor bike, our Lifetime Free Adjustment Program will make sure the fundamental systems of your bike are operating properly. If you feel your bike is not working right, just call for our Tech Center. We will answer your questions or schedule an appointment for your bike. 7. Quality Accessories: We’ve offer great accessories that will make your child’s ridding safer and more enjoyable. These accessories are ready to stand up to the challenge your children will bring them. 8. Youth Bike Trade Up Program: We’ll give you up to 40% back of the original purchase price, in trade, when you’re ready to buy their next bike. Learn all the details here or read our blog about the program. 9. Warranties: All our bicycles come with a lifetime warranty that covers the frame and a warranty covering the components. If you ever have an issue please bring us the bike and we’ll take care of the rest. 10. We LOVE to RIDE! : We love to ride and there is nothing more we enjoy doing then sharing our love of cycling with you!